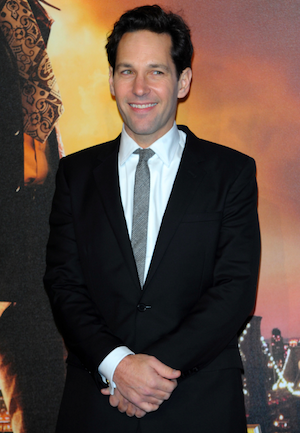 What does Ant-Man, Batman and Superman all have in common? New release dates. Marvel and Warner Bros. are rearranging their summer calendar. Marvel Studios and Warner Bros. are playing musical chairs with their schedule. They’ve both made major changes to their 2015 and 2016 summer calendars. It affects the upcoming Batman vs. Superman as well as Marvel’s Ant-Man. So who’s going where and why? It all started last week when Warner Bros. decided to delay their Man of Steel sequel. Instead of releasing it July 17, 2015, they’re opting for May 6, 2016. That’s a nine-month difference. According to The Hollywood Reporter, they’ll replace it with Joe Wright’s live-action Peter Pan adaptation. Marvel must have seen this as an opportunity to capitalize on their next big thing: Ant-Man. The film was originally slated for July 31, 2015, now it’s bumped up to July 17. So Ant-Man vs. Peter Pan is just one of next year’s box office showdowns. At the moment, Pan’s only confirmed star is Hugh Jackman, who’ll play the infamous Blackbeard. Meanwhile, Garrett Hedlund is being courted for the role of Hook. As for Ant-Man, both Paul Rudd and Michael Douglas are on board to play the title character. One as Scott Lang and the other as Hank Pym. 2015 is going to be an action-packed year! Which film are you the most excited to see?